Scrum is an agile project management framework mainly used for software development. It defines an iterative and incremental approach (sprint) for project work. The International Scrum Institute is an independent Institute which helps IT Companies and Professionals get certified efficiently and successfully with Accredited Scrum Certification and prove their competence in Scrum domain. International Recognition, Worldwide Credibility and Acceptance of Accredited Scrum Certifications issued by International Scrum Institute have resulted in making the International Scrum Institute a fastest growing Scrum Community with over 387,000 Scrum Masters and Scrum Product Owner Accredited Certification® holders 143 Countries. Scrum Product Owner role is a very unique and broad role in Scrum which combines all of the challenging aspects of traditional Project Manager and Product Manager roles. Moreover, Scrum Product Owner represents the customer point of view in a Scrum project. 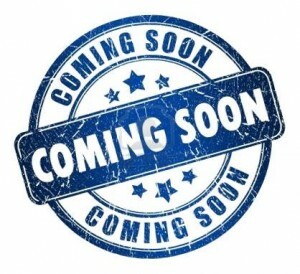 International Scrum Institute aims to remove the barriers set in front of the Scrum Professionals in developed and emerging markets by saving them from paying unreasonable fees for Scrum Classroom Trainings and Scrum Certification Examinations before they certify their know-how in Scrum. Certification Programs have been developed by a consortium of Selected Agile Software Development and Scrum Practitioners and it is valid for lifetime. No need to undergo a certification renewal process. Also the International Scrum Institute do NOT mandatory require aspirants to get classroom trainings before they can get certified in Scrum. This makes the entire process of obtaining the certifications convenient. Scrum’s powerful and astonishing influence on people and projects has resulted in companies in the service industry insisting on having a Scrum Certification. Passing the Scrum Master followed by Scrum Product Owner Accredited Certification® is considered as your worthwhile step towards responding to this need. 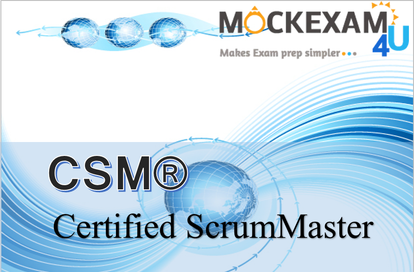 And with free Scrum Master mock tests & Scrum product owner sample tests from Mockexam4U you can do just that. 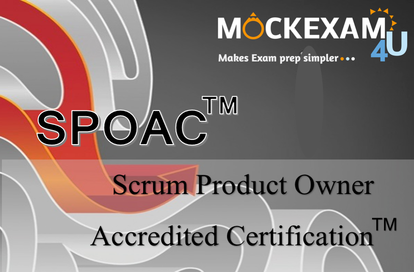 In this section we begin with the mock tests pertaining to the Scrum Product Owner Accredited Certification SPOAC™. The mock exams include questions that are similar in methodology and structures to those tested by Official International Scrum Institute but are not the actual Scrum Product Owner Accredited exam questions. They are only meant for self-test practice purposes. Upon successful completion of the required study and practising with these tests you will be able to master the skills to accomplish the official test with excellent grade and integrate this knowledge in your everyday work. So what’s holding you back? Commit to a conscious study in Scrum Product Owner Accredited Certification® curriculum and take the mock exams offered by our site…Grab the Opportunity whilst free…Register now….. Discover the fundamental knowledge that you need to know about Scrum Product Owner Certification and get started with this multiple-choice online exam. The International Scrum Institute is an independent Institute which helps IT Companies and Professionals to get certified with Scrum Accredited Certification® and to prove their competence in the Scrum domain. An aspirant could obtain international recognition from all industries and from all leading organizations which embrace Agile Software Engineering and Scrum Practices once they secure a Certifications like Scrum Master & Scrum Product owner Accredited Certification®. Scrum is an open Project Management Framework, and yet before International Scrum Institute was established, there has been no reasonable approach for Scrum Professionals to obtain Scrum Certifications and to prove their proficiency in Scrum domain. Aspiring Scrum Professionals were required to pay exorbitant fees for the Scrum Certification Programs of other Certification Entities and undertake rigorous compulsory training for at least 2-3 days. International Scrum Institute aims to remove these barriers set in front of the Scrum Professionals provides by providing three major Online Scrum Certification Programs which are designed by their consortium of renowned Scrum Experts and Coaches. Scrum Product Owner Accredited Certification® is a registered of the International Scrum Institute. There are several benefits of the Scrum Master Accredited Certification® and Scrum Product Owner Accredited Certification® Program for Employees and Freelancers. As an employee, the certification will help be your Proof of Competence and up-to-date know-how in Scrum Domain. Moreover it will broaden your perspective help get more responsibilities and better career opportunities compared to your peers. On the other hand, it also benefits the Employers by reducing costs by improving efficiency of teams and it will also improve the quality of deliverable and lead to customer and employee satisfaction. Although the International Scrum institute has its own Online Scrum Training Program and copyrighted intellectual property of scrum resources, they have made these materials freely accessible for everybody. This is a great platform to learn and share Scrum expertise. You can avail the resources for free by simply following the link and prepare for the Scrum Product Owner Accredited Certification® Programs which comprises of multiple-choice Test questions. Reading the Online Scrum Training Program will be very helpful for Scrum Professionals to acquire the know-how to pass the Scrum Certification Examinations and to get the Accredited Certification. In this section we begin with Scrum Product Owner Accredited Certification® Program which is a multiple-choice online test examination in which can be attempted at the luxury of home or a PC from anywhere around the world. The test comprises of 50 questions and must be completed in 60 minutes in a single session and answer all of the questions. In order to pass the examination and to obtain your Scrum Product Owner Accredited Certification® you need to correctly answer at least 60% of the questions. Examination success rate is generally 98%. For more tips on the exam questions refer to the official website of International Scrum Institute. 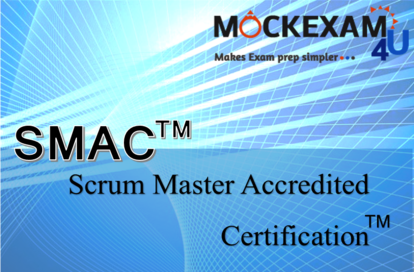 Mockexam4u is an ideal space to test your agile project management framework through Scum Certification. The International Scrum Institute values the know-how gained from reading and self-study or from any other medium and experience. Thus we at Mockexam4U have prepared mock exams to just help you with this cause. The online tests in this section are designed to help prepare you for the Scrum Product Owner Accredited Certification®. The sample exam comprises of 15 questions that would enable you to assess briefly your understanding of the topics covered in the Scrum Master exam. The sample test of provides a glimpse of the actual examination questions. This section is provided to give you an understanding of what to expect at the Official Scrum Product Owner Accredited Certification® Exam. Our group of Accredited Scrum Masters and Accredited Scrum Owners have carefully designed each of the sample and mock exams to ensure the entire syllabus is covered and you the reader get the utmost benefits. Click the image above to check the Scrum Product Owner Accredited Certification® sample exam. The sample questions are similar to questions from the current Scrum Master curriculum, to help prepare for the exam. These review questions do not reflect the actual questions you will receive on the live certification exam. They are only meant to supplement your exam experience. It would be prudent to take as many exams as possible to boost confidence and to test your preliminary assessment levels. 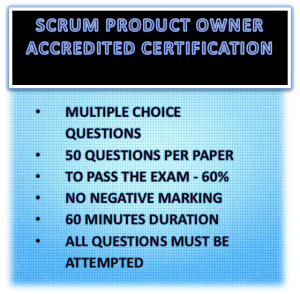 If you feel you are benefited with the sample exam please do register by following the link below and get a chance to attempt the soon to be updated Scrum Product Owner Accredited Certification® Mock exams with 50 questions each to be updated soon for your practice and which can be accessed after a simple registration procedure. This online test remains the property of the Mockexam4U. The Scrum Product Owner Accredited Certification® sample questions and the online tests are not from the official International Scrum Institute’s sample papers and they are created by our organization. These test questions are not to be reproduced or re-sold without our permission. Fancy becoming an Accredited Scrum Master Certificate holder?…Assess your preparatory skills with these brain teasers and alleviate exam qualms if any…An Ideal space to test your Scrum Master exam knowledge and make waves for a bright career in IT service industry. Enjoy the exam whilst free! Each of the exams is vigilantly questioned with each question differing from the other to ensure the entire Scrum Master course material is covered. Also click the link to attempt the other Scrum Product Owner Accredited Certification® Mock Exams. Do give us your precious feedback so that we could cater more easily to your needs. Please come back soon to attempt the mock tests for the SPOAC™ certification. The International Scrum Institute is an independent Institute which helps IT Companies and Professionals to get certified with Accredited Scrum Certifications and to prove their competence in the Scrum domain. An aspirant could obtain international recognition from all industries and from all leading organizations which embrace Agile Software Engineering and Scrum Practices once they secure a Scrum Product Owner Accredited Certification®. So how does one complete the Scrum Product Owner Accredited Certification®? Test and certification cost in total USD 29. No other hidden costs or fees involved. In order to pass the examination and to obtain your Scrum Product Owner Accredited Certification you need to correctly answer at least 60% of the questions. Examination success rate is 98%. The overall process couldn’t be any simpler and is easy and fast. To make life comfortable we have enlisted the pointers to be remembered. Mark a date in your calendar and using the access code for your Online Certification Program, access your Online Certification Examination and answer 50 multiple-choice questions in 60 minutes.